Most independent restaurants in North America operate on razor-thin profit margins between 2-6%, according to data from the National Restaurant Association. 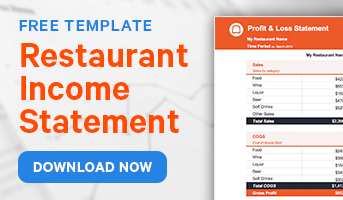 This slim profitability often means that if something is not making your restaurant money, it’s probably costing you money - even if it’s operational in nature. Take your employee schedule, for example. Scheduling is something that each and every restaurant needs to do in order to make sure that they are properly equipped to meet their business goals and satisfy their customers. But not every restaurant realizes that their schedule is a potential source of lost income if mismanaged or neglected. This may sound pretty doom and gloom, but don’t panic! 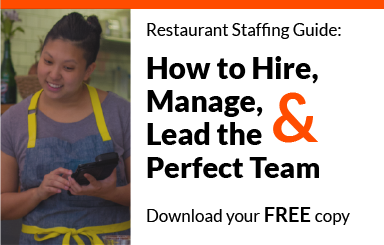 Every oversight uncovered is an opportunity to learn, correct course, and improve your restaurant's’ profitability. With that in mind, here are three of the most common staff scheduling mistakes that restaurants make and how you can fix them to ensure maximum profitability. If you ask any independent restaurateur how they create their employee schedule, the most common answer you will hear back is “I just know.” This might be the case if their restaurant has had the exact same volume of sales every day for the past decade or more, but we all know that this never happens. Scheduling extra employees simply because your gut is telling you that it will be busy next week is more than likely cutting into your long-term profits or causing you to overspend on labor. From another perspective, your staff will definitely not appreciate being scheduled for a shift that is based on your intuition if it turns out that they are unneeded and need to be sent home. The smart approach to scheduling is to base it on real sales data from your business, which can be projected forward to create an accurate scheduling forecast. This process is sometimes referred to as activity-based forecasting. This is a quantitative approach to scheduling rather than qualitative approach and is based in real data from your reports. Begin by taking a look at your point of sale records from the past few scheduling periods. Do you notice any trends in this data? Now take a look at your budget for labor costs - is there room for adjustments here that would better align with your sales data? Once you have researched this information you can start creating a data-backed employee schedule that will be much more accurate than your intuition alone. Besides, data can back you up when scheduling decisions go awry. It is much easier to explain to your boss that you exceeded your labor budget because your sales data predicted a busy day rather than have to explain the decision was based on your gut feelings (save for when you know you will need extra staff, like for special events, holidays, etc.). Research has indicated that the average restaurant operator spends an average of three hours per week creating employee schedules. This is about 7% of your entire work week just devoted to creating your restaurant's schedule! This doesn’t even factor in the time it takes to make updates, swap shifts, or chase down employees for availability or on-call obligations. Now think about the cost of this time for your business. Given what a restaurant manager or proprietor’s time is worth on a per-hour basis, can you really afford to spend three hours per week working on an employee schedule? These three hours could be spent on much more productive or profitable activities for your business, such as interacting with customers, working with staff, or streamlining operations. 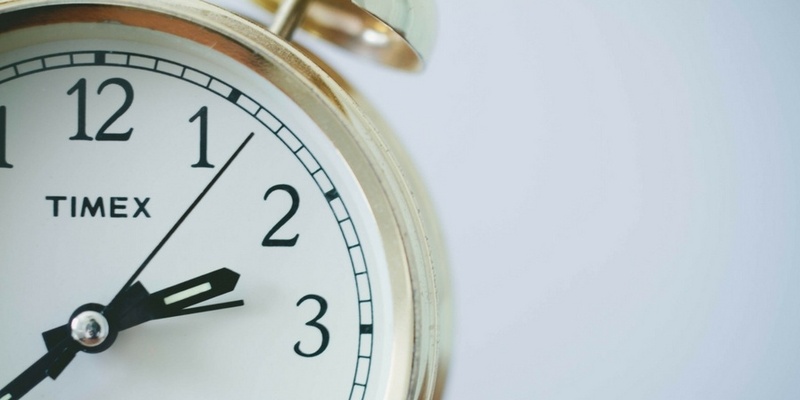 If time equals money, then the answer to this problem is simple… spend less time scheduling! Finding a great employee scheduling app that saves you time scheduling is a crucial first step, but equally important is finding a workflow that allows you to take care of the most nagging scheduling issues quickly and efficiently. This includes tasks like notifying employees of schedule changes and managing availability of staff. A great (and free!) idea is to set up an online form, like Google Forms, which you can use to let staff to submit their availability to you - saving you time in chasing them down or playing phone-tag. It’s not secret that the restaurant industry in North America has the highest annual staff turnover rate at a staggering 72% (in 2015). While some of this is due to seasonal hiring, a major contributor is employee satisfaction and retention. 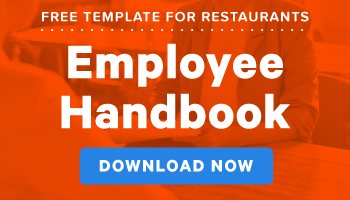 Turnover is a massive financial burden on restaurateurs as it requires you to spend precious time and resources training or onboarding staff… only to have them leave. One major gripe of employees that contributes to turnover is scheduling and staff communication. If employees find it difficult to know when they are working, be updated on schedule changes in a timely fashion or easily communicate their availability back to management they are much more likely to leave and take their acquired skills elsewhere. Communicate as early and often as possible. Printing off the schedule for Monday and sticking in the kitchen on Sunday night is only going to infuriate your staff. Find a reliable way for staff to know their schedule as far in advance as you can forecast and honor it to the best of your ability. You may not be able to accommodate every time-off request that comes your way, so prioritize the requests based on their importance and the seniority of your staff. That way you can ensure the staff you have invested the most time and money in (who are generally your highest performers) feel valued and kept in the loop. Agreat way to ensure staff communication is kept at the forefront of your business is to find staff scheduling software that will keep your employees apprised of the latest schedule or changes made to it. Even better, a solution that emails or texts them these updates will ensure that you prevent the dreaded “I didn’t know I was scheduled? !” situation. Create your restaurant's schedule based on the real business data at your disposal and avoid the temptation to create an employee schedule based on your intuition alone. Remember what your time is worth relative to the effort you put into scheduling. If you are spending too much time managing the schedule perhaps it is time to take a step back and ask why this is the case. Make an effort to over-communicate to employees. When you get into the habit to constant communication you ensure that your employees feel valued, recognized and taken care of. What are your go-to tips for employee scheduling in your restaurant? Let us know in the comments below!